Aoshima Moka (CV: Mimori Suzuko) - kibo refrain · forums · community | osu! Last edited by Djulus April 8, 2018 at 12:49:46 PM GMT , edited 25 times in total. 2017-12-18 08:04 m3gB3g: эмиэ уан рум да? 00:27:532 (4) - same like i said in easy, why is this slider not the same as 00:27:183 (3) - would look cuter !! nice little map and good luck with it :3 ! 00:30:759 (1) - add a note here? 00:02:416 (5) - try to put two circle here, maybe stack at the head of this slider. guess that's all for me :3 GL! 00:12:183 (8) - maybe nc this since the stream direction changes. 00:20:207 (5) - I get your trying to emphasis but maybe you could make this parallel with 00:19:858 (3,4) - plays more comfortably imo. Does countdown necessary? you should turn off it at all diffs. 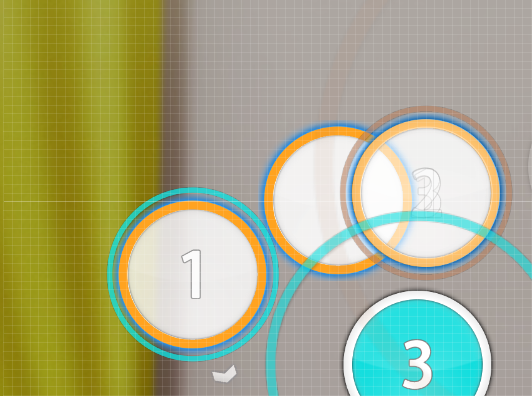 https://osu.ppy.sh/ss/9815779 Insane diff is crooked, could you re upload it? 00:11:137 (3,4) - for seeing this, mouse(or tablet)'s moving is going little bit sharp way, this has about 90 degree angle flow, looks little bit weird, in my suggestion, if you should follow the flow about the sliders' like this, map's flow can be more smooth and soft. 00:27:881 (3) - you made this just straight slider, but if you use same slider with 00:26:486 (1) - , then this pattern can have symmetrical pattern, and map's pattern looks more stable. like this. 00:04:335 - I felt weird because this part doesn't have beat here, this part has good vocal sound to emphasis and you can make it, even if you add a beat here, doesn't matter with drum sounds, my suggestion is this or this. 00:05:381 - this part flows same rhythm with 00:02:590 (3) - , but the previous part has beat and this part doesn't have beat? I think you should add a beat at here for consistency of rhythm. 00:06:951 (1,2,3) - 00:08:346 (1,2,3) - As you know, this part has good vocal sounds to emphasize, but you didn't add only for following downbeats, I think you should emphasize vocals, Not only for downbeats. 00:12:532 (4) - You missed NC here, you added NC as 1 downbeats, then this part should be NCed like others. 00:16:021 (2,3) - this part doesn't have hitsounds? you missed Hitsounds at here. 00:13:579 (6,1) - 00:16:370 (3,1) - this two parts are the only parts that you followed vocal, do you have any reason for following vocals ONLY this part? I think you should follow drum sounds, as you did at others, this part is weird little bit. Or you can add some vocal beats overall. 00:18:811 (2,3) - for following vocals, you can swap this part's rhythm. this part looks just following downbeats, too. 00:20:207 (2,3) - ^, but if you will not apply above mod, you should add a beat at 00:20:730 - , for consistency with 00:19:335 (3) - . music flows same with 00:18:811 (2,3) - . then you can set consistency for better quality about this maps. 00:27:881 (1) - this part is weird, too. because you followed vocal without any reasons, too. Suddenly following other sounds can be weird, if you add a beat at 00:28:230 - , rhythm can be better imo. 00:02:067 - you missed hitsounds at here. 00:03:114 - here is, too. you missed hitsounds. 00:02:590 (5) - 00:04:160 (1) - 00:05:381 (1) - for seeing this parts, you can emphasis in here, but why you didn't make jump? this looks little bit weird, 00:13:230 (4,1) - 00:14:974 (4,1) - 00:16:370 (5,1) - this parts, flows same song, you added jump. Then you should add jump here, too. 00:06:428 - this part has weird hitsound? This hitsound doesn't necessary imo. 00:18:811 (3,4) - 00:20:207 (3,4) - you followed vocals at previous part, for seeing consistency with previous part, you should follow vocals at here, too. 00:24:567 - add clap? you added claps at 00:25:963 - 00:27:358 - , which has same part of music. 00:29:276 (3) - 1/3. listen carefully one more. 00:06:428 (4,5,6,7) - overmapping imo. this part doesn't have any special sounds. but why you added this weird patterns? 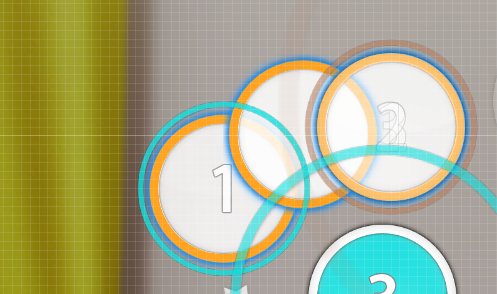 I think you should follow just drums, you didn't overmapped like this at other parts. 00:09:218 (4) - has weird hitsound, you should set same hitsounds with 00:07:823 (4) - for consistency. music flows same. 00:11:050 (6) - if you add whistle sound, then this par's drum expression will be better. this part have same sound with other whistle sounds. 00:11:835 (4,5,6,7) - could you add hitsounds for colorful sound? this sound looks empty comparing with this part's intense. 00:23:085 (8) - I know you did't add hitsound for follwing vocal, then since you follow vocal, you can delete this beat, hitsound follows vocal, notes follow drums,.... this are really weird for listening, set one thing which will you follow. if you want follow drum, 00:23:085 (8) - add clap here. 00:04:509 (3,4) - you followed vocal sound seeing 00:01:370 (1,2) - are sliders, then this part should be slider for consistency of follwing sounds. 00:11:137 (3,1) - This linear overlap looks messy little bit. I suggest you two things, s1 / s2. other patterns are, too. 00:12:532 (1,2) - overmapping. you didn't add this kicksliders at 00:15:323 (1,2) - . then you should delete this if you don't have any reasons. 00:14:974 (4,1,2) - weird flow? I think you can make better flow, current pattern's moving looks hard. 00:24:393 (3,4) - for listening this song, 00:24:567 - has trumpet sounds, then I think swapping rhythms could be better for consistency. For seeing this map, I think this map is just flowing without any special things, just pattern has jump. It looks really weird. 00:07:649 (5,6) - different intense with 00:09:044 (5,6) - , set consistency for better map's expression. 00:11:835 (4) - Add NC for dividing patterns as you did at 00:10:963 (1,2,3) - , i think you divided pattern with 00:10:963 (1,2,3) - 00:11:311 (1,2,3) - , then it should have same NC terms. 00:20:120 - you should add NC here for seeing 00:18:724 (3) - , this part should be consistent because music flows consistent. 00:22:997 (4) - same as above, this part divided pattern with 00:22:649 (1,2,3) - 00:22:300 (1,2,3) - , then you should add NC 00:22:997 (4) - for better expressions of patterns. 00:26:137 (5,6) - 00:27:532 (5,6) - these two pattern's music flows same, but your intense is different, 00:26:137 (5,6) - has not so big DS, but 00:27:532 (5,6) - has Big jumps? I think you should fix this for set consistent DS in here. 00:13:230 (2,3) - I see what you're following, but the 3/2 pause still felt a bit awkard for the difficulty level. How about a reverse slider instead? http://puu.sh/yKGpk/a7fba9a0dd.jpg So you'd still map the same things, just in a slightly easier way to follow. 00:12:532 - Uhhh.. add NC. It's the start of the new musical section. It really deserves one. 00:15:323 (1,2,3,1) - Why did your spacing suddenly go from 1.0 to 1.1? Seems like a mistake, I recommend adjusting it to be 1.0 like the rest of the map. 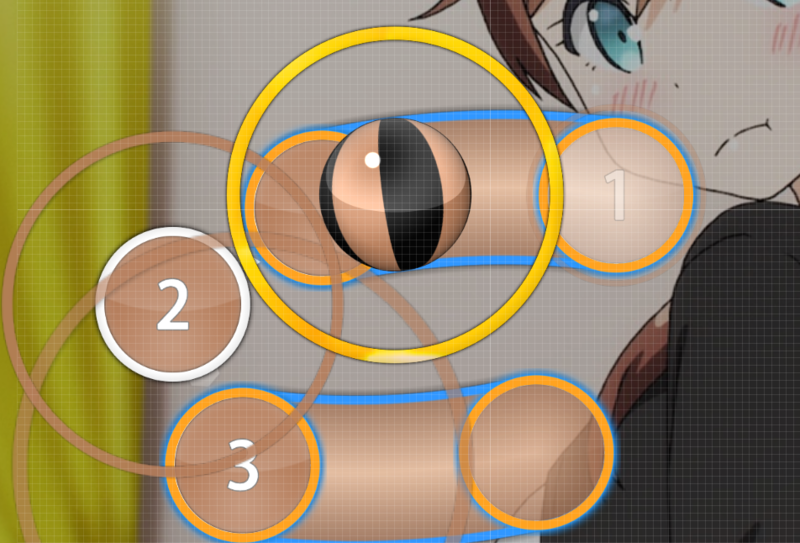 00:02:590 (1) - uhhh.. missed nc, looking at your patterns in the map. 00:11:137 (1,2) - Suddenly adding these 1/4 reverses felt really weirdly out of place when the drums they're following aren't super obvious. 00:23:259 - looking at what the prior triples are mapping, the note feels missing here, since there is another drum at this time. 00:12:532 (1,2) - deciding to do these at 1/4 sliders felt very out of place, especially when 00:15:323 (1,2) - is just circles?? 00:04:160 (1,2,3,4,5,6,7) - this pattern felt really random and off. 00:04:509 (3) - a stronger sound, is given the same spacing from 2 as 2 is from 1, but then 00:04:683 (4) - has far larger spacing, despite being weaker in the song, and the spacing just gets bigger even though the song isn't particularly growing in intensity. On top of that, it doesnt seem to be forming into any pattern in particular, so as a whole it just comes together as a really random jumpspam. It also takes away from 00:05:381 (8,9,1) - by making it part of the general increase, even though 00:05:381 (8,9,1) - is actually notably strong. 00:22:997 (4) - NC? since you decided to 00:22:649 - nc this even. 00:29:625 (1) - why not add nc so it's clearer these are triplets? 00:29:974 (1,2,1,2) - try to align this to share the same axis as 00:29:276 (1,2,3,4,5,6) - , so it'd be nice and symmetrical as a whole :>? currently it's like, http://puu.sh/yLtSz/58be0156b2.jpg that, so 00:29:974 (1,2,1,2) - ends up looking offly to the right. 00:30:672 (1) - why doesn't it end on the downbeat? 00:02:939 (2,3) - Кривоват стак. Или это так задумано.. или это надо поправить . 00:05:207 (3,1) - почему бы сёркл не поставить на конец слайдера? Чтобы сделать треугольник. Ну и конечно ж 00:05:032 (2,4) - подправить после этого. 00:13:230 (6,1) - мб тут 00:13:753 (1) - поставить бланкетом с концом 00:13:230 (6) - ? 00:19:858 (3) - мб тут поиграть с DS и поставить его между 00:18:637 (3,4,1,2,3,4,5,6,1) - ? 00:23:172 (4,1) - не далековато ли? 00:03:114 (3) - А ну лучше будет поставить его на конец слайдера 00:02:067 (3) - , а 00:03:288 (4) - передвинуть на x:470 y:206 ? 00:06:951 (1) - мб стак с началом 00:05:904 (2) - ? 00:04:160 (1) - мб его на конец 00:04:509 (3) - ? 00:12:881 (3,5) - mb stack ? 00:16:370 (3,1) - мб стак? 00:13:230 (6,1) - maybe here 00:13:753 (1) - replace and blanket with 00:13:230 (6) - sliderend? 00:19:858 (3) - maybe replace that circle somewhere like 00:18:637 (3,4,1,2,3,4,5,6,1) - this? 00:23:172 (4,1) - too far? excuse I didn't mod 1 month so I can be mistaken! 00:26:486 (1,2,1,2,1,2,1,2) - I suggest to increase spacing for better reflect music! 00:01:370 (1,2,3,4,1,2,3) - cntrl+shifr+s and drag the slider to the right! 00:03:463 (1,2,3,4) - I suggest to make that pattern for strong vocals!!! 00:04:160 (1,2,3,4) - and to make here also for consistence!